The republic of Pakistan was formed on 14 August 1947 following the official handover of power in India by the United Kingdom. It is bordered to the west by Iran, to the north-west by the long and mountainous border with Afghanistan, to the north by China, and to the east by India. The country forms a north-south ribbon of territory which is focussed on the Indus Valley, home to India's first civilisation. Persian and Greek control of the satrapies of Gandhara and Northern Indus took place in the northern section of modern Pakistan and along the River Indus respectively, immediately to the east of the Hindu Kush mountains. Between that period and the modern age, it has for the most part been a patchwork of kingdoms, principalities and minor states, all vying for control with one another. These range from the semi-nomadic Sakas to the empires of the Persians, Greeks, Mauryans, Indo-Greeks, and Kushans, and subsequent control by the Xionites, Palas, Ghaznavids, and Ghurids, and then control from Delhi, and by the Moghuls. The modern republic was formed through a Direct Action day, which was called in 1947 by the Muslim parties in India (led by Muhammed Ali Jinnah). They demanded a separate homeland for Muslims in modern India. Hindus and Sikhs were massacred in Muslim-dominated areas, leading to a bloody Hindu retaliation. with large-scale riots following and the decision being taken to partition India and create Pakistan as a homeland for Muslims in former north-western India. The new country also gained the east of Bengal, which was named East Pakistan. The first war between India and Pakistan ignites over Kashmir just two months after they become independent nations. In 1949 the Pakistani militia is repulsed by the Indian army, but due to UN intervention part of Kashmir remains occupied by Pakistan, which it names Azad Kashmir while India refers to it as Pakistan-occupied Kashmir. The UN asks for a plebiscite in the disputed area. Pakistan does not vacate the part of Kashmir it has occupied, so a plebiscite never takes place. Pakistan becomes an Islamic republic in 1950. The prime minister, Liaqat Ali Khan, is assassinated. Pakistan adopts a constitution which remains effective today. General Ayub Khan assumes command of the country after a military coup, becoming a military dictator. Pakistan again attacks India over Kashmir, but is beaten back on several fronts. With Soviet mediation Pakistan agrees to call off the attack. General Ayub Khan resigns. General Yahya Khan assumes the presidency and declares martial law. Amidst a new Cold War equation, Pakistan (along with China) becomes a US ally as India turns to the Soviet Union for military assistance. An attempt at the genocide of the Bengali-speaking Muslims of East Pakistan is made by the Punjabi-dominated army of West Pakistan. 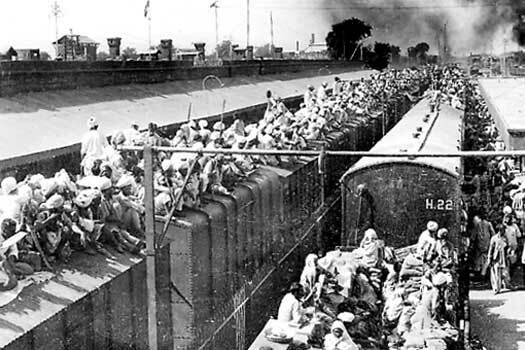 A large-scale exodus of East Pakistanis into India is triggered, leading to a humanitarian crisis, all of which is collectively terms the Bangladesh Liberation War. India intervenes and assists the Bengali revolutionary group, Mukti Bahini, which is led by Sheikh Mujibur Rehman. Pakistan launches a pre-emptive strike on eleven Indian airbases, starting the Indo-Pakistan War. The war lasts just thirteen days. Following this, East Pakistan secedes from West Pakistan to become Bangladesh. Zulfikar Ali Bhutto becomes prime minister. He signs the Shimla Agreement with India. General Zia ul Haq launches a military coup, overthrowing Prime Minister Bhutto, who is hanged in 1979. Zia assumes command of Pakistan. Military dictator. Killed in plane crash. Assassination suspected. An Islamic penal code is established by Zia and Islamic Wahabi fundamentalism is encouraged. The country sees the birth of Pan-Islamism as Jihadi Mujahideen (warriors willing to martyr themselves for their faith) are recruited from all over the world (with US help) to overthrow the Soviet-sponsored communist government in Afghanistan. India accuses Pakistan of supporting terrorism in Punjab. When General Zia ul Haq meets an untimely end in a plane crash, Benazir Bhutto, the daughter of Zulfikar Ali Bhutto, becomes prime minister, only to be dismissed by the new president in 1990 (she returns in 1993-1996). Nawaz Sharif leads the new government, and it enforces Islamic Shariah law in 1991. India accuses Pakistan of sponsoring terrorism in Kashmir. India conducts nuclear tests amidst reports of a secret Pakistani nuclear programme which is supported by the Chinese. The following year, Pakistan launches an operation in Kargil (supposedly to internationalise the issue of Kashmir) after its soldiers occupy some unmanned border posts disguised as irregulars. The Indian army successfully repulses the attacks and reoccupies the posts. The USA intervenes (fearing an escalation of the conflict between two nuclear powers) and Pakistan is compelled to call back its men. Nawaz Sharif, returned to office in 1996, is overthrown in a military coup by General Pervez Musharraf, who then assumes command of the country. Both Bhutto and Sharif are exiled. The US seeks logistical support from Pakistan in its 'war against terror' in Afghanistan. Pakistan has to turn against its long term allies, the Taliban, in order to appease the US, but is accused of playing a double game by many international agencies. US pressure on Musharraf forces him to crack down on a section of Islamic militants. There is large-scale opposition within Pakistan against Musharraf and the US in light of their perceived anti-Islamic policies. Musharraf declares a state of emergency but has to retract it amidst international and local pressure. In the same year, Benazir Bhutto returns to Pakistan, allegedly with support from the US, in order that she can contest elections. She is assassinated while being transported in her motorcade. Pakistan is generally accepted to be the source of a terrorist attack on the Indian city of Mumbai (formerly Bombay). Islamic terrorists rampage through the city, killing hundreds of people including several foreign nationals (US and Israeli citizens are singled out for murder). The Pakistani state is accused of sponsoring the terrorists, all but one of which are killed. Musharraf is forced to resign by the Supreme Court after a mass movement of lawyers, long a target of Musharraf's, together with public pressure finally takes its toll on the general. Benazir's controversial husband, Zardari, becomes president and Gilani the prime minister, although the international community and worldwide media still allege that the main power in Pakistan lies with General Kiyani and the army. Unproven military power behind the 'throne'. 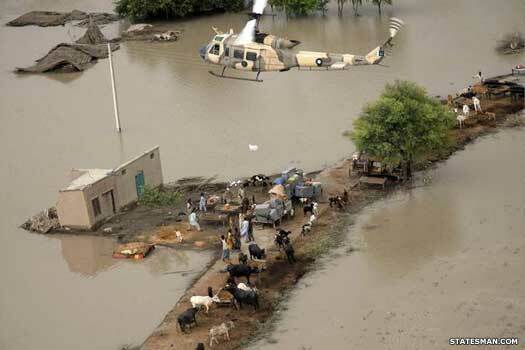 Massive floods in Pakistan kill or displace millions. In the same year, long-time ally China announces that it will set up nuclear stations in Pakistan similar to those of the India-US civilian nuclear deal amidst international condemnation considering Pakistan's nuclear proliferation record. A four-day attack in January on an Indian air base in Pathankot leaves dead seven Indian soldiers and six militants. In September an attack on an army base in Uri in Indian-administered Kashmir kills nineteen soldiers. India's retaliation occurs at the end of the month when it carries out what it calls 'surgical strikes' on militants in Pakistani Kashmir. A militant attack by one or more Pakistani groups takes place in Indian Kashmir. It kills forty Indian troops - the deadliest to take place during the three-decade-long insurgency against Indian rule in Kashmir, albeit with long periods of peace during that time. India retaliates and the situation becomes increasingly unstable. At least one air force plane appears to be lost by either side (reports vary and officials are keen to deny any losses at all), and artillery shelling takes place on the ground.